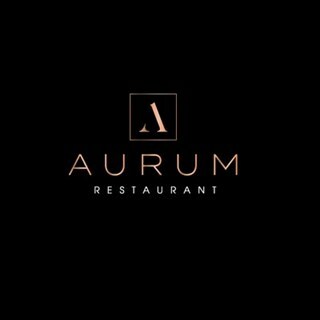 At Aurum, our cuisine celebrates the best of Essex and the UK and is located in the heart of Southend-on-Sea. Our 70 seater restaurant is open all day for breakfast, lunch, afternoon tea and dinner. We take care to collaborate with local suppliers and producers to preserve their traditions and heritage. We follow the cycle of the seasons to bring regional cuisine. We constantly source and develop our ingredients and techniques to bring high quality, fresh and flavourful dishes to your table. Our menu at Aurum uses the best of the season’s produce and is locally sourced. We aim for it to be a combination of refined gastronomy with delicious flavour but, importantly, for it to be healthy, balanced and exciting for the eye, as well as the palate. This is the second time we have been for breakfast. The staff are very friendly and knowledgeable about the food they are serving. It is the best breakfast we have had. We will be expanding to the dinner menu next. Realise it was a busy weekend, but no prawns no sole but we all knew it was Easter so should have been accounted for.one of our party ordered chicken there was only spatchcock chicken on menu so was surprised when one piece of chicken was given? Also was bloody near bone . Roast potatoes were deep fried not roast & roast beef was two slices of thin steak . Wasn’t a problem as was tasty enough but was not a “roast” dinner. Cheese was far too small a portion .hope tjhis feedback is fair & helpful because you have the competition of the Rosalyn whose meals are hard to beat . Outstanding service and attention to detail. I went for my 40th birthday and was so pleased I selected this venue to celebrate. Amazing! We really enjoyed our evening and the food was absolutely gorgeous. We will definitely be coming back. Really good service food was lovely highly recommend! Nice food, good service, our party of 11 people had a very nice meal..many thanks for making my other half birthday lunch special for her..
A fantastic Sunday lunch with family and friends. Great food, service and hospitality. Lovely time spent at the Seven. The best service I've ever experienced. Food was beautiful as was the view. I'd highly recommend! We enjoyed a wonderful afternoon tea  The staff were very friendly and attentive, nothing was too much trouble. Lovely hotel and ambience  We will definitely be back again! Excellent cuisine which is well needed in Southend. Excellent and attentive service. The acoustics of room are not brilliant as is hard to hear your conversation when busy. Overall well worth the visit. An enjoyable afternoon tea with my mother. There were a few minor things that were surprising for a hotel of the standard they are trying to achieve. Loads of cigarette ends at the entrance to the hotel which would have taken minutes to sweep up & a smell of drains in the ladies loos. I have visited Aurum restaurant on numerous occasions for breakfast, lunch, afternoon tea and dinner and can honestly say I’ve never been disappointed. This restaurant has it all- great food, great service and great atmosphere. I would definitely recommend a visit and will continue to go back! We had a lovely enjoyable lunch last weekend. The staff were knowledgeable over the menu and helped us with their recommendations. The food was 100%on point. Tasty yet not too much food where you felt like you ate too much. They were also very accommodating with our friends who had a babystroller. We had a lovely afternoon tea for my friend. I brought my daughter and the staff could not have been more friendly or attentive, making sure my friend and I as well as my little girl, was well looked after and had all we needed. The food was lovely, fresh and the kitchen even made my daughter a ham sandwich as she was a little fussy with the others. Perfect place to celebrate my husbands 50th with friends. Great food, great service and a lovely large table to sit around with friends. Thank you for helping to make our special occasion perfect. All good cheers, quite a lot of fish on the menu. Would prefer more meat options, other than steak. Cheek was lovely.